Founded in 1996, Picture This Gallery and Framing is family owned and operated by Ed Smith, and backed with 22 years of industry experience. Picture This Gallery provides Antique Furniture, Limited Editions, Original Art, Original Photography, Open Edition Fine Art Prints and Posters / Over 13,000 in stock, Antique Steel Engravings, Modern Engravings, Antique Maps, A full line of the highest quality frames with professional custom framing at our local shop. Along with award winning customer service - a combination that can't be beat! Through our commitment, experience, personal service and expertise, Picture This has established a personal relationship with our customers that will last a lifetime! 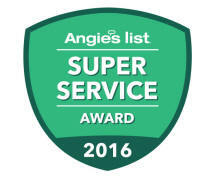 I have also won the Angie's List Super Service Award each year since 2004. I personally guarantee the satisfaction of every customer I do business with.